This Pool Rules Sign is made from wood and is painted with exterior paint. Swimming pool signs are attached on the back side with a nylon poly rope. Palm tree and umbrella are both separate pieces that are attached to the sign. All of our products are Made In America! 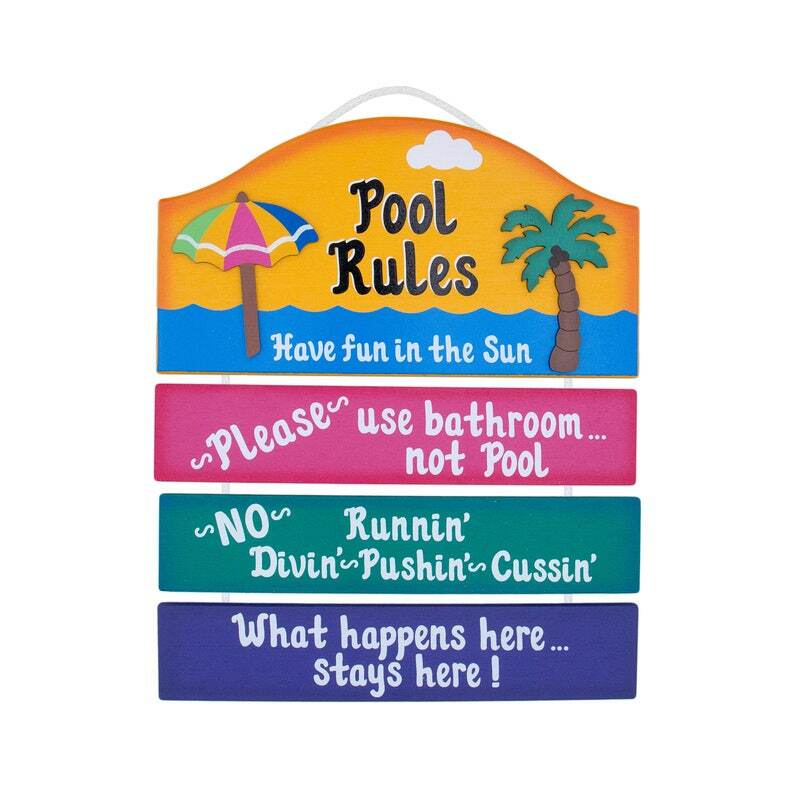 Name is personalized above the Pool Rules in black and white lettering.